Such lovely collections. I think I’d really like to read the “First Love Forever Collection” first! Please also like this website, Robin. That’s what I meant when I said to follow. Thanks! Thanks so much, Laura. I love the First Love Forever collection. I do follow your page. I’d love the First Love Series. Thank you. Thanks so much for following, Vicki! And I love the First Love Forever collection. So much fun. I think I would enjoy of Rags and Riches Romance Collections. I love zthe novella collections! I’m following on Facebook. If you would, Perrianne, follow my author website here, please–in order to be entered into the drawing. Thanks! Following your website. Would like to read Of Rags and Riches. Thanks so much for the chance to win. Best wishes, Faith. Thanks for the follow, and Merry Christmas! I think I would like the First Love Forever collection. I hope I am doing this right this time to enter. I don’t see a follow tab anywhere. I don’t see a follow tab but I do look forward to getting to know your writing better! Thanks for the giveaway, Jennifer. I followed your page. I think I would enjoy the First Love Forever Collection. Email: roemerfarm(at)frontiernet(dot)net Merry Christmas! Exciting! I followed your website and look forward to reading your work. Of Rags and Riches Romance Collection sounds intriguing to me. Have a Merry Christmas! Thank you for the follow, Monica. There are some fantastic authors in the Of Rags and Riches collection. It’s a good one. Hi Jennifer! What a wonderful prize package, thanks for the generous giveaway! 🙂 I just signed up to follow you and The First Love Forever collection looks good. First loves are my favorite type of story, especially reunion ones! Hi! 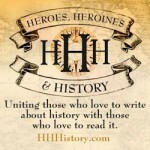 I’m a new follower and I love the Barbour historical romance collections. I am particularly looking forward to the First Love Forever romance collection. Thank you for the giveaway opportunity! Thank you so much for the follow, Holly. First Love Forever is a great collection. You’ll love it. Following! Would love to win these! Thanks for the chance! Thank you for stopping by, Margie. Thank you so much for stopping by and entering, Lual! Best wishes in the giveaway. I’ll post the winner here, as well as contact them privately on Thursday evening. Jen, love your books. I can’t find the floating follow button. I’m intrigued by the deaf man’s story. I’ll try to find the floating sign up again. You have a lovely website. Scroll all the way to the top of my website page, Cindy. Then look in the lower right corner of your screen. It should be a small white rectangle that says “follow”.